Libby on the Label: #52 Ancestors Week 48 - "Next to Last"
#52 Ancestors Week 48 - "Next to Last"
I spent way too much time thinking about who to feature this week. I ended up going through my List of Names and chose the 1st person I found who was born or died on November 30th. The last day before the last month of 2018. 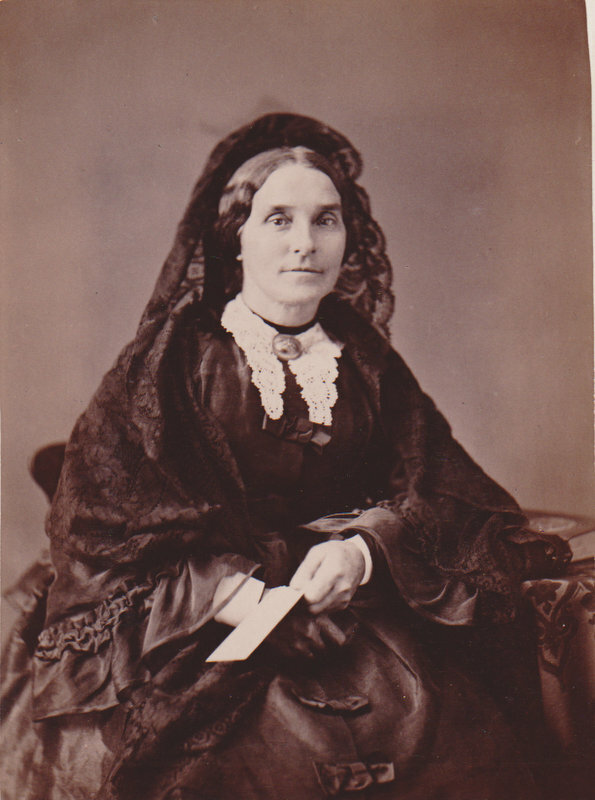 I got almost to the end of the "B"s before finding my 2nd cousin 3 times removed, Mabel Broadbent. 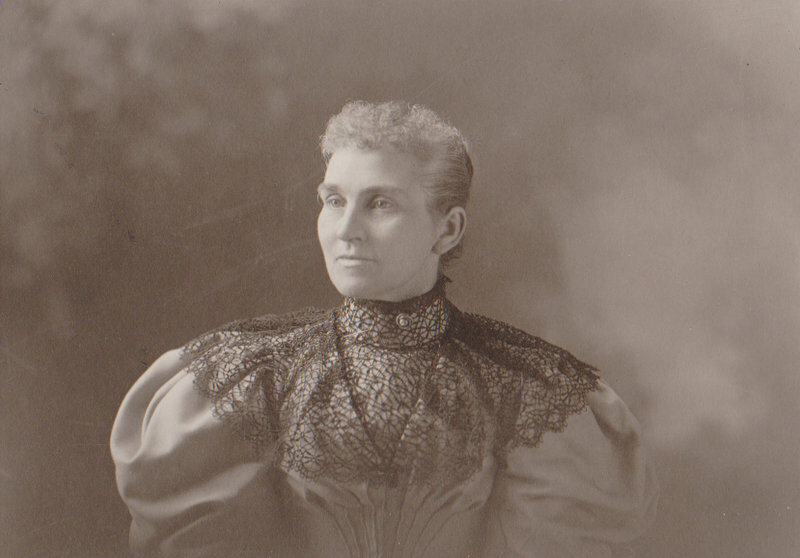 She was born on July 28, 1870 in London, Ontario, Canada and passed away November 30, 1928. That is her in an undated photograph on the left. The first is Sarah McMechan Broadbent (1845-1938), Mabel's mother and my 1st cousin 4 x removed. I'm not sure what the occasion is for the black veil and dark clothing, but they sure are striking. She's holding some kind of envelope. It appears as though something significant is happening here. A photo taken when Sarah was older is to the right. I just love the period dress. 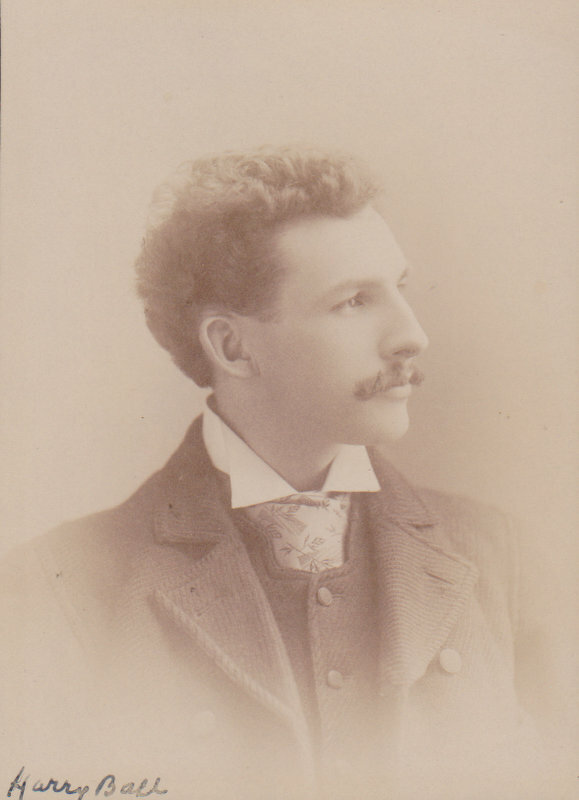 Mabel's father was Joseph Capes Broadbent (1840-1918), born in Lincolnshire, England. Mabel was the oldest of four children. 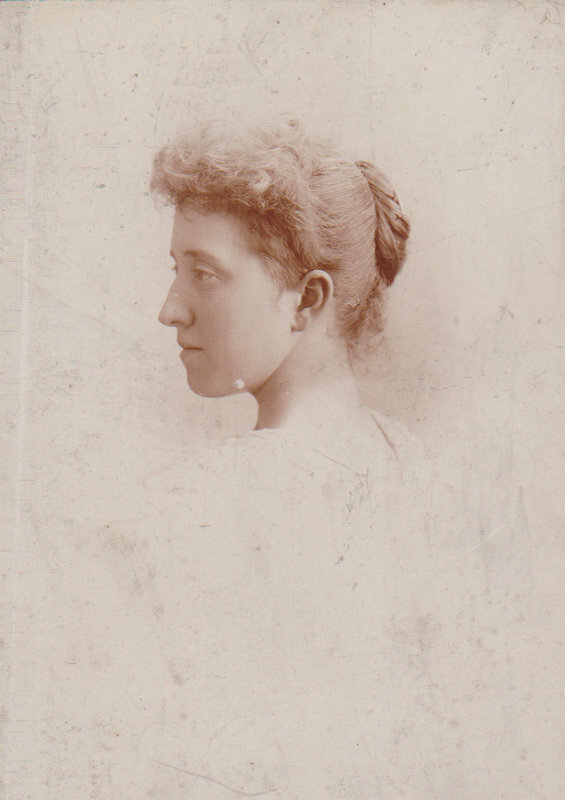 She married Harry Ira William Ball (1864-1947) from Hagersville, Ontario on June 29, 1892. The couple had four children, 3 sons and one daughter. According to the Canada, City and Area Directories, 1819-1906, Harry was a traveling salesman. His photograph on the right looks as though it was taken at the same sitting as Mabel Broadbent Ball's, above. They married in 1892. Mabel died on June 1, 1921 in Toronto, Ontario, Canada. She was 50 years old. The family moved some time between 1907 and 1911. She died of bilateral polycystic kidney disease. Both kidneys are filled with multiple renal cysts. It is a congenital and hereditary disease. Mabel Broadbent Ball, previously a name on a page, has become more of a living and breathing person this week. It's clear that she was dearly loved by her family. Grateful to get to know her through them.